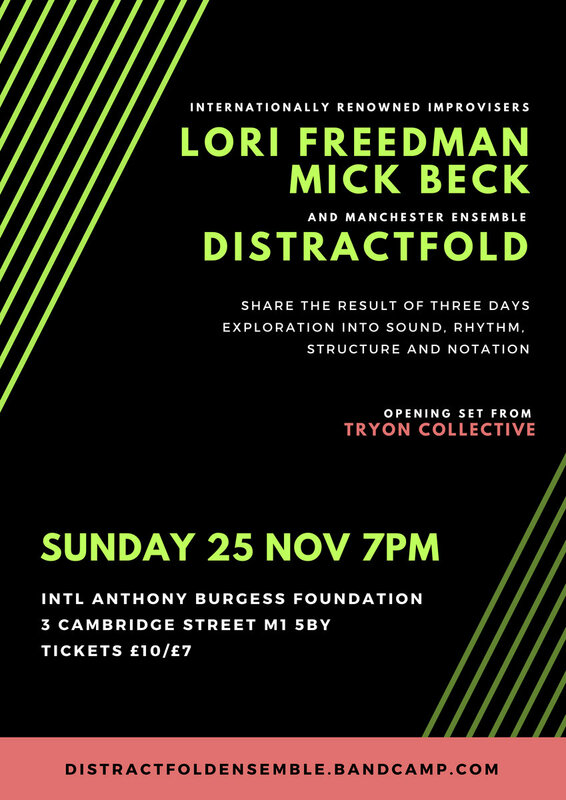 Manchester’s Distractfold Ensemble will be working with world renowned improvisers Lori Freedman + Mick Beck over a period of 3 days at the International Anthony Burgess Foundation. 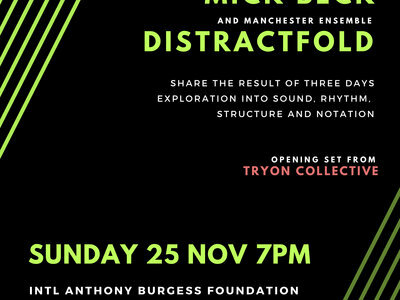 They will be exploring compositional possibilities in sound, rhythm, structure and notation, with the work being organised in a shorthand “sketch” score. The outcome of this collaboration will be performed in the IABF Engine House on the 25th Nov ’18.